Professor Jones is dean of Duke Divinity School and a theologian whose work centers on the nature of forgiveness, the significance of Christian ministry and pastoral leadership, and social innovation and entrepreneurship. 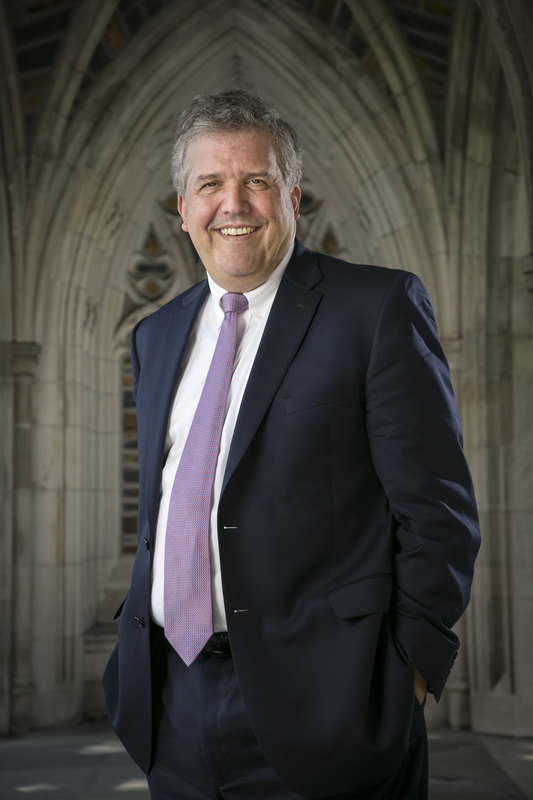 He has served as Duke’s chief international strategist to advance and coordinate the university’s global engagement. Between 1997 and 2010, Dr. Jones served as the eleventh dean of the Divinity School. The author or editor of seventeen books, he has also published more than 200 articles and essays. His most recent book is Christian Social Innovation: Renewing Wesleyan Witness (Abingdon Press, May 2016). He coauthored the book Forgiving As We’ve Been Forgiven with Celestin Musekura and another book with Kevin R. Armstrong, Resurrecting Excellence: Shaping Faithful Christian Ministry. "Beliefs, Desires, Practices, and the Ends of Theological Education" in Miroslav Volf and Dorothy C. Bass (eds) Practicing Theology: Beliefs and Practices in Christian Life (Grand Rapids, MI: Wm. B. Eerdmans, 2001) 185-205. “Embodying Scripture in the Community of Faith,” in Ellen F. Davis & Richard B. Hays (eds. ), The Art of Reading Scripture (Grand Rapids, MI: William B. Eerdmans, 2003) 143-159.